As we announced last week, Companisto will launch a new asset class on 18 August 2015. We are thus very pleased to lift the veil on our new asset class and to announce that it is a so-called venture loan. 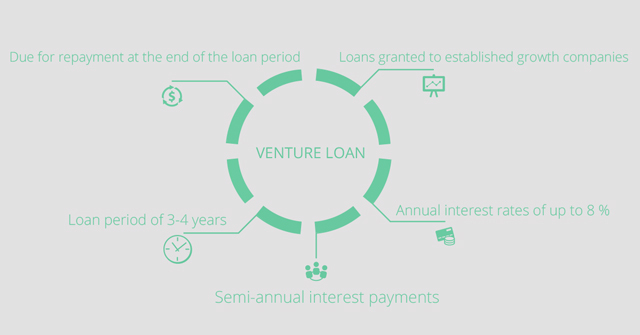 Venture loans are due for repayment at the end of the loan period and are usually granted to growing companies that are already generating substantial revenues. Legally speaking, venture loans on Companisto will be subordinated loans [Nachrangdarlehen], will be granted for a duration of 3-4 years, and will include semi-annual interest payments. Venture loans will expand Companisto's product range and will provide Companists with another attractive investment type. Companisto will continue offering subordinated profit-participating loans to start-ups, which enable Companists to benefit from profits and increases in the company value. In addition, the new venture loans will also enable Companists to invest in companies at a later stage and receive fixed interest rates over shorter loan periods. We will also announce the first company to use venture loans on Companisto shortly.